The Middle East fitness industry is going through a boom period. Participation rates in fitness related activities are amongst the highest in the world as proactive health care becomes a priority to locals and residents alike. Recognised as the premier hub for fitness enthusiasts and professionals in the Middle East, Dubai Active Show is your opportunity to engage and meet the largest audience of potential customers and partners in the region. Dubai Active Show brings together the latest trends, products, events and experiences for those who live, breathe or work within fitness and health. From cutting-edge fitness equipment and training aids through to the latest in apparel, technology, sports nutrition, healthy food and supplements, there is lots for visitors to touch, trial and buy. EXHIBIT AT DUBAI ACTIVE SHOW AND MEET WITH OVER 25,000 FITNESS ENTHUSIASTS AND INDUSTRY PROFESSIONALS. SPACE IS SELLING FAST FOR 2018, DON’T MISS OUT! GROW YOUR BRAND BY TAKING ADVANTAGE OF OUR HUGE MARKETING CAMPAIGN. 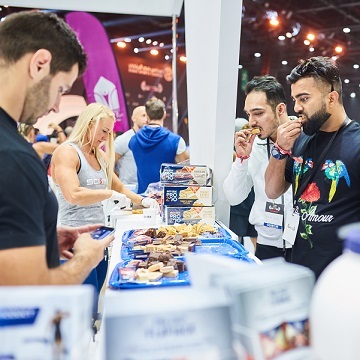 Attracting over 25,000 fitness professionals and enthusiasts throughout the region, there are exhibiting and sponsorship opportunities available at Dubai Active Show to suit a range of budgets so contact us today for further information.